After thousands of votes were cast in the October edition of the Offaly Sports Star of the Month, boxing sensation Sinainn Glynn is the last one standing and has been crowned our winner. Cloghan Boxing Club fighter Sinainn Glynn emerged with a whopping 37% of the vote while Camogie star Niamh Costello was second with 19% and Coolderry hurling legend Brian Carroll third with 11%. 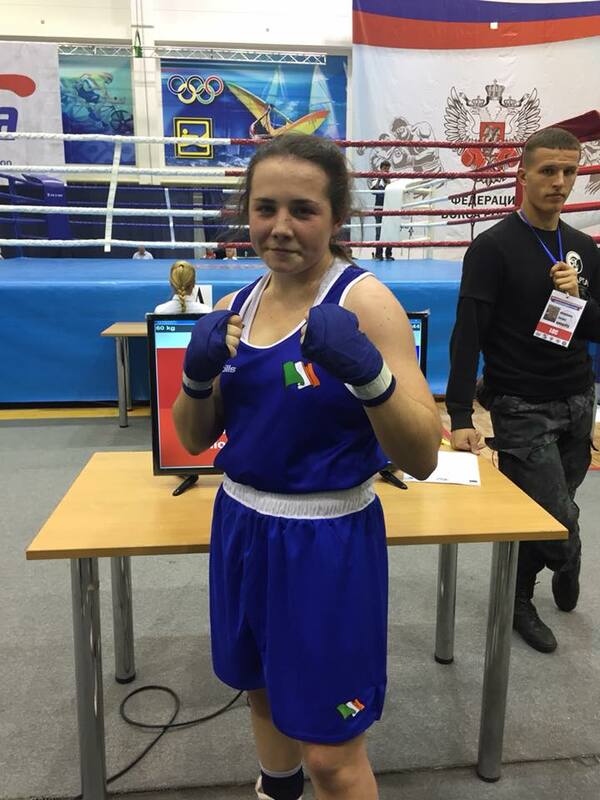 Sinainn was nominated having secured a silver medal at the EUBC Junior European Boxing Championships in Russia in October. Sinainn will now receive a specially commissioned glass trophy from title sponsors Guy Clothing in Tullamore and will enter the end-of-year Offaly Sports Star of the Year 2018 vote next January.